With little time and a lot on the brain, I've decided to splatter it all here in one spot. 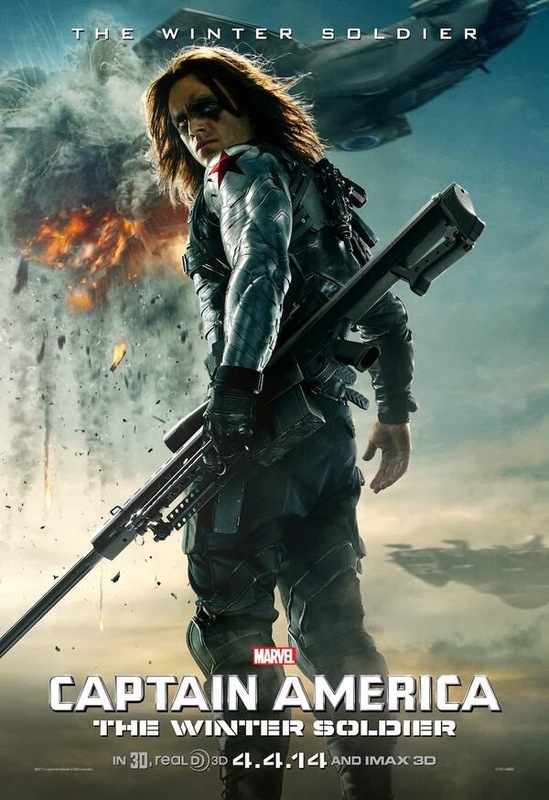 First of all, here's a brand spankin' new poster for Captain America: The Winter Soldier featuring The Winter Soldier in all his glory! This film continues to look AMAZING and I'm beginning to think that it may be the best solo film Marvel has made to date. We've seen enough in the trailers to see get a feel for how the film will play out and it's pretty clear that by the end of it, HYDRA will have been revealed and S.H.I.E.L.D. will be in shambles. The trailers for the film have been VERY revealing. We can clearly see that Nick Fury, after being attacked by the Winter Soldier, will fake his death and head underground. 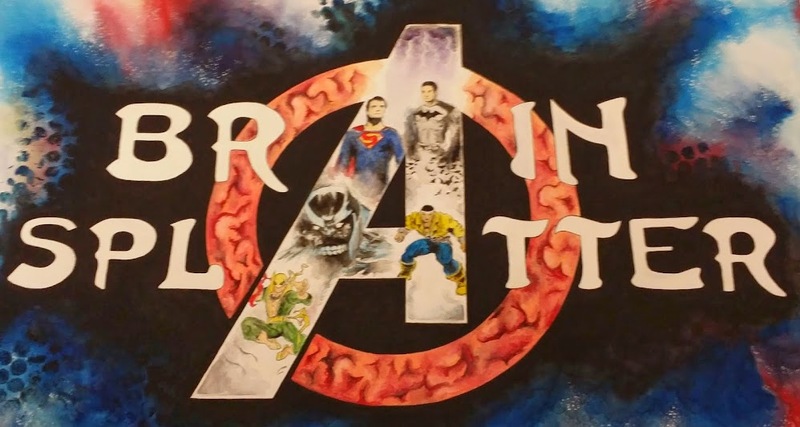 We can get a pretty decent idea of the film's plot from putting things together. Near the opening of the film, Cap and his team, which includes Brock Rumlow and Black Widow, will be boarding a S.H.I.E.L.D. ship which has been hijacked by Batroc. After they clean up that mess, Cap will return and, I believe, have a very revealing conversation with Nick Fury in which Fury makes a comment about being able to stop crimes before they happen, a comment I've begun to believe is very important to the much bigger picture of Phase 2 of the MCU (more on this in a moment). 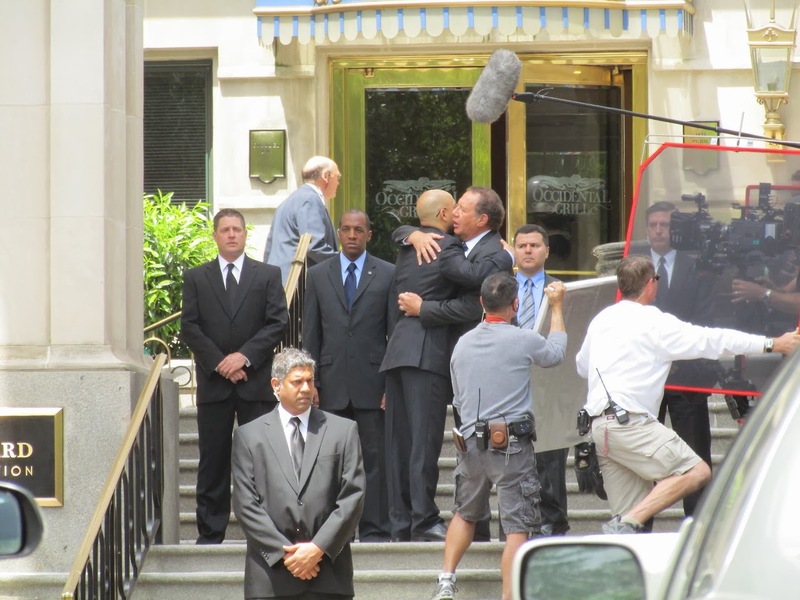 After this, we'll see Fury attacked and die which won't precede the elevator attack on Rogers by much. At that point, Rogers will gather his own team, comprised of Black Widow and The Falcon, and uncover just how deeply seeded HYDRA is in S.H.I.E.L.D. and the U.S. Government. The trailers also show us that, likely in the film's third act, The Winter Soldier will once again battle Captain America, but that this time Rogers will be wearing his original Cap outfit. This is likely the catalyst for Bucky to break free of his Winter Soldier programming and join the good guys en route to taking down Pierce and HYDRA. The film won't end on a good note, however. Everything Cap has believed in will be destroyed. The organization for which he works and his country will have been revealed as corrupt and, more importantly, the big reveal will be that things are going to get much worse. One of the things that I've been working on for some time now is the hypothesis that the Clairvoyant from Agents of S.H.I.E.L.D. is actually under the employ of S.H.I.E.L.D. Another part of the hypothesis is that the Clairvoyant is not a person. Remember that comment that Fury made above about stopping things before they happen? I think S.H.I.E.L.D. has developed a program to help prevent crimes by "seeing the future" (think Person of Interest). I also think that this program has, under their nose, developed its own sentience and, as we are seeing now during Agents of S.H.I.E.L.D., is doing its own thing to meet its own ends. I think we have already seen the beginnings of Ultron as the "Clairvoyant." Again, this is just a fun hypothesis which means as I test it out, I can keep changing it, but I hoped to put it out there now and generate some discussion about it in advance of Captain America: The Winter Soldier. This hypothesis, if true, puts our heroes on the defensive as soon as Avengers: Age of Ultron begins. While most of that film will remain shrouded in mystery right up until we see it (remember, Avengers plot points were at a premium until screenings began), I do wonder if the Hulk scenes which were shot in South Africa aren't going to fit in at the end of the film. I'm beginning to wonder if they aren't scenes in which Hulk has gone bonkers and might precede his immediate removal from the planet. While they've been in full denial about a potential Planet Hulk movie, one can't completely dismiss the Sakaarans as purely coincidental additions to Guardians of the Galaxy in addition to the near inclusion of several related characters in Thor: The Dark World. 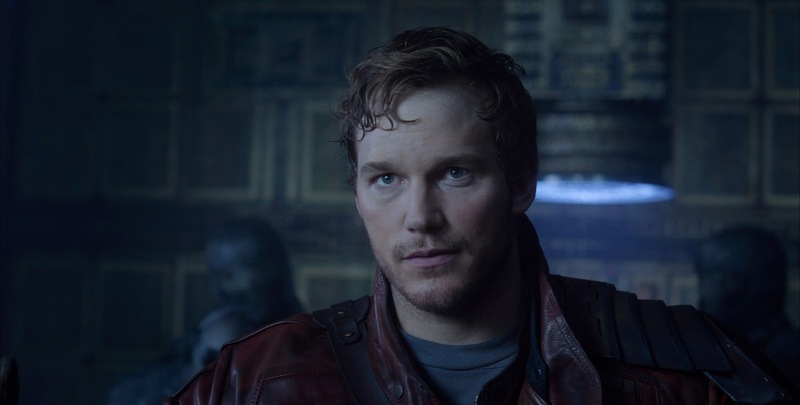 Speaking of Guardians of the Galaxy, which will appear in theaters between the two films I've already discussed above, I believe that it will be another huge hit and that, as they've hoped, it will open the doorway for Marvel to expand their Cosmic corner of the universe. We've already seen one of the film's opening sequences: Quill coming briefly into possession of an orb, possibly an Infinity Stone, before being overtaken by Korath the Pursuer and his Sakaaran warriors. I'm not sure just how, but Quill is going to evade Korath and his crew and get away, with the orb...until he gets picked up and thrown into prison. I believe Quill still has the orb in his possession at this point because I can't really figure out any other reason why Nebula and Ronan would attack the prison and break in. At this point Quill will escape, AGAIN, with his new friends: the rest of the Guardians of the Galaxy. From here, they'll regroup at Knowhere before heading to see The Collector in order to get ahold of a very important part of his collection: Adam Warlock. I believe the Infinity Stone in this film is the Soul Gem and the Guardians will need Warlock to help them protect it. This should propel us through some Drax/Ronan and Nebula/Gamora confrontations to the end of the film. I'm not entirely sure that Guardians of the Galaxy is going to end on a high note for the heroes. I also have begun to wonder if the rumored scene of Iron Man picking up a distress call and flying out into space might not be a mid or post-credit scene for this film. One fond wish I do have for the ending of this film, is that John C. Reilly's Rhomann Dey makes his way to Earth to pass on the mantle of Nova to Richard Rider. Last week's Nova movie title card may well have been fan made; in fact, it's more likely than not that it is. However, it does not deter me from thinking that Marvel has two more dates to announce for their Phase 3 films and that while one of them will be the third Avengers film, the other more than likely will be Cosmic in nature. I just don't see Marvel finally opening the door to the Cosmic stable of characters only to close it back up for 3 more years. Plenty of Cosmic stories are there for the telling and I am inclined to believe that Marvel will tell one in either 2016 or 2017. 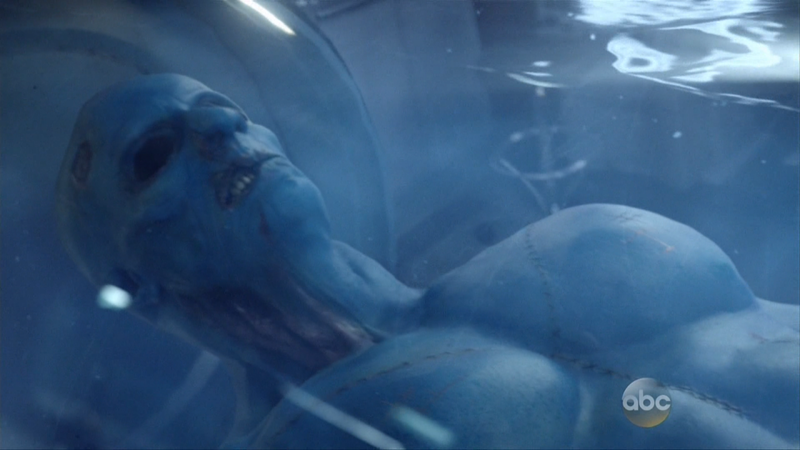 Finally, I'd like to touch on something that's very nebulous in my mind at the moment: the blue-skinned alien seen in the tube in last night's Agents of S.H.I.E.L.D. They went out of the way to make sure we knew he was blue and to make sure we saw his clawed and webbed hands which are all defining characteristics of the alien race known as the Kree. I"m of the strong opinion that the alien we saw was a Kree and very well known one: Geheneris HalaSon, Pluskommander of the Kree Army...Captain Mar-vell. I know I'm not alone on this thinking as I've seen it buzzing around on Twitter and everywhere else; however, I do think it's going to present something very interesting down the road. Like many characters we've seen in the MCU, this Captain Marvel is going to be a bit of a mixture between his 616 and Ultimate characters and I think that accounts for quite a bit. It helps explain why he was blue instead of "pink" and it's also going to help explain how Phil Coulson is "alive." Yes, I've read all of Roger Wardell's posts, but fortunately I am able to think for myself and, for some time now, I've recognized that Phil Coulson is the Everyman of the MCU. He's the every day guy with no special powers who has gotten to tag along for all these amazing rides; he's the MCU equivalent to Rick Jones. Rick Jones, for those of you who may not be familiar with him, is the comic book character who just happened to be along for a lot of crazy rides and who, eventually, found himself linked to Kree Captain Mar-Vell. Through the use of the Nega Bands, Jones and Mar-Vell could switch places in their respective dimensions, allowing Mar-vell to join the Avengers for periods of time to fight evil. I don't know how Mar-Vell got to Earth. I don't know how he ended up in the condition he is in. I am, however, starting to think that Fury has used the bits and pieces left of Mar-Vell to revive Coulson and that is the reason why most EVERYONE who has known him has commented on how different he is this season. He isn't him. Somehow, in some way, Coulson and Mar-Vell are going to pull a switch-a-roo...and it's going to be awesome. That's what I have time to lay out know. Crazy hypotheses and speculation...but that's the fun of being a fan. I'd like to hear your guys thoughts on these things and what other things you guys see coming. I have a lot more I'd love to say, but I don't have the time!